Japan has published Industrial Production and the US will release Retail Sales and Michigan Consumer Sentiment Prel. 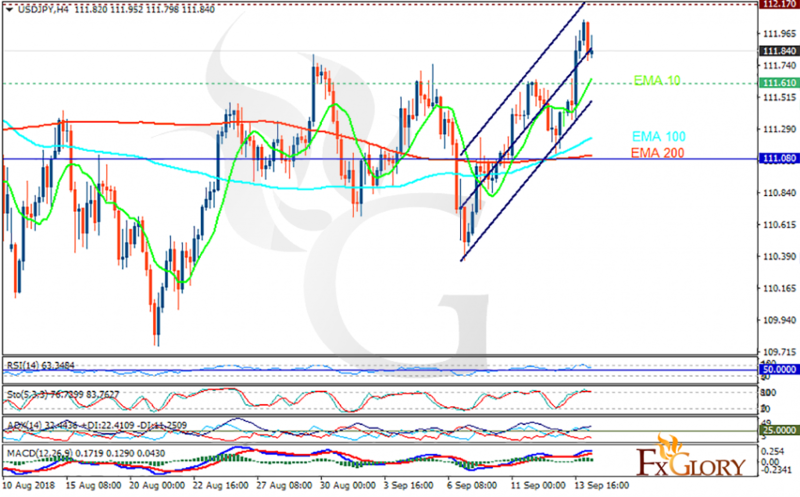 The support rests at 111.610 with resistance at 112.170 which both lines are above the weekly pivot point at 111.080. The EMA of 10 is moving with bullish bias in the ascendant channel and it is above the EMA of 100 and the EMA of 200. The RSI is moving above the 50 level, the Stochastic is moving in high ranges and the MACD line is above the signal line in the positive territory. The ADX is showing buy signal. The indicators are showing upward momentum therefore the resistance level breakout will push the price up towards 112.5. Otherwise, the price will fall towards 110.5.